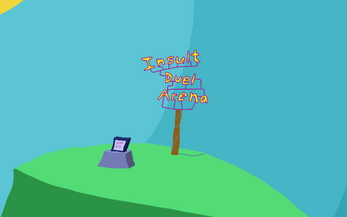 An entry for Ludum Dare 32, with the theme "An Unconventional Weapon". Inspired by Monkey Island's insult sword fighting. 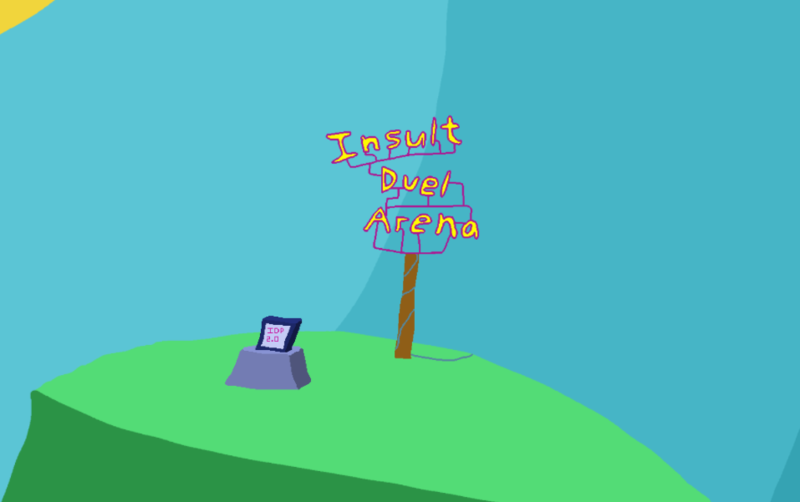 Learn all the possible insult retorts by training against the IDP (Insult Duel Practice software), and then you'll be ready to face the master. Defeat the master 3 times in a row to win! Press 'F1' or 'M' at any time to open the menu. Press 'Esc' to quit the desktop version. NOTE: Turns out the game doesn't display well on lower resolutions, so it's best to play the web version or choose a high resolution in the Unity launcher. Built from scratch in 48 hours. Used Unity 5, GIMP, bfxr and abundant-music.com music generator. Play in the browser or download to your computer.